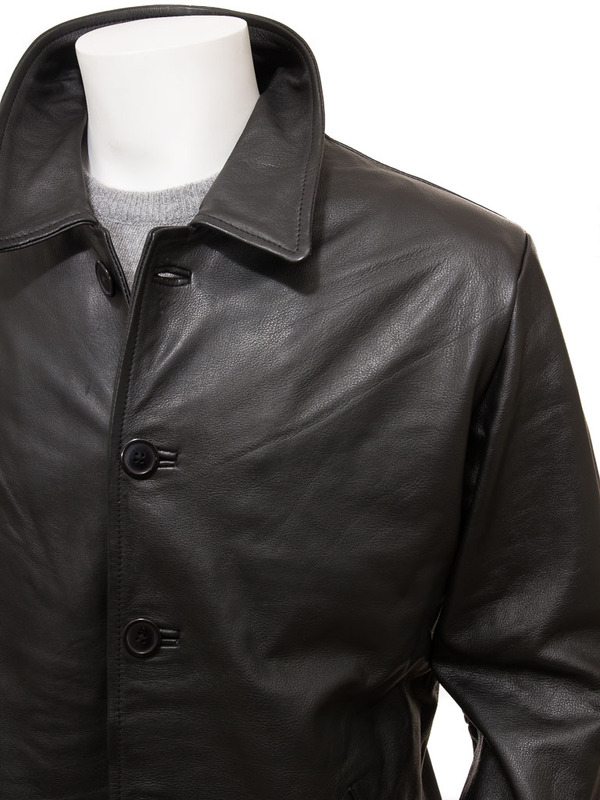 A superb, understated, black leather coat. 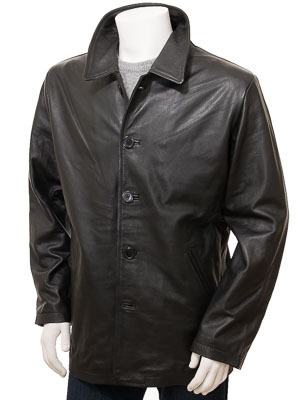 Crafted from tough, durable cow hide, this coat is a slightly longer length and slimmer fitting reefer jacket. 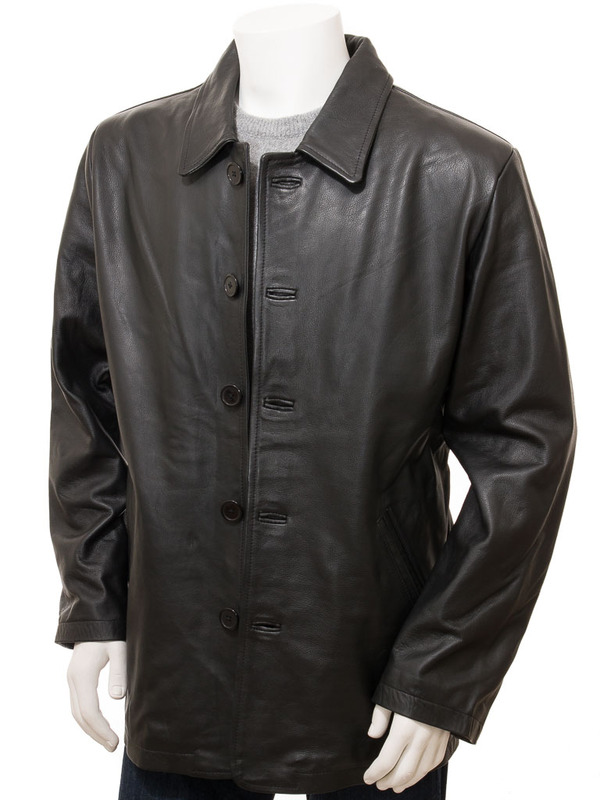 It features a five button, single breasted block with shirt style collars that can be laid flat or turned up. 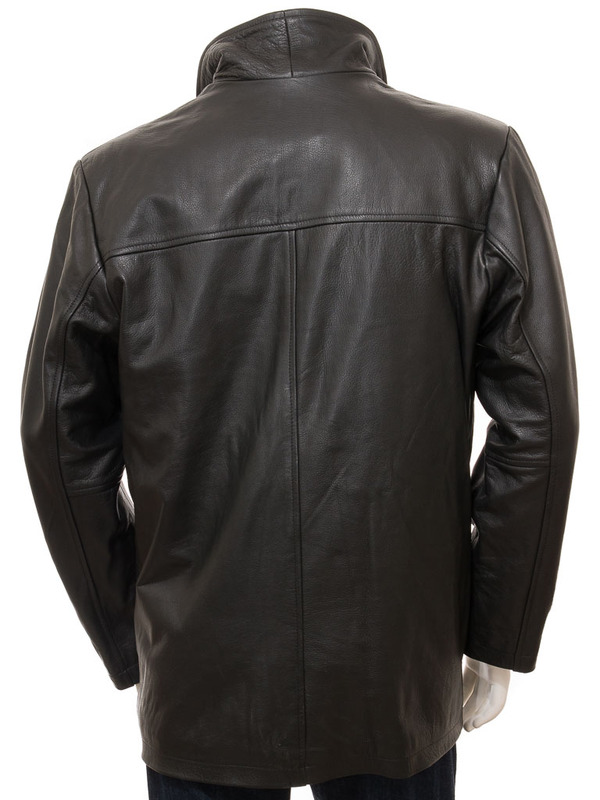 There are two deep, open, inset pockets at the hip with plain cuffs and an unvented back. Inside, this coat is fully lined in a plain poplin with two leather trimmed interior pockets. 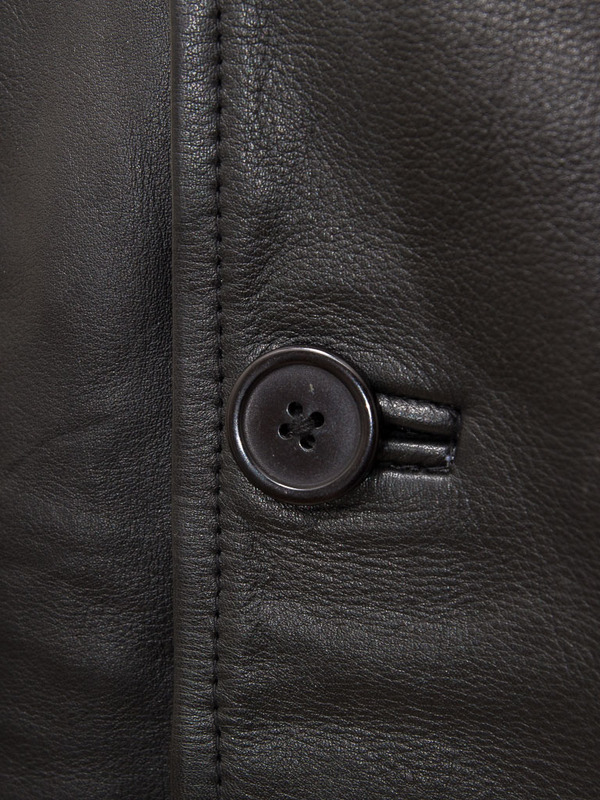 One of these pockets is zipped for additional security.